Hi there! 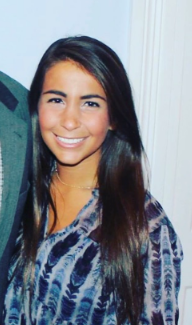 My name is Jessie Rosenberg and I’m working as a Retail Marketing Intern this summer at Clayton. I am excited to contribute to the Clayton Blog during my internship. I am a rising senior at the University of Tennessee working toward a bachelors in Communications! In my spare time, I enjoy running, cooking and spending time with my family and friends. I have lived in Tennessee most of my life, so I am a huge Vols fan. I have always had a love for home design and this internship has given me to chance to learn so much about the amazing possibilities manufactured homes have to offer. Look out for posts on my favorite models, unique home features and other lifestyle type blogs! Farmhouse style homes are all the rage and have been trending for some time. Features including shiplap, wood floors, sliding barn doors and large windows keep popping up in new homes. Most folks believe these farmhouse features can only be found in a site built home—well, think again! This tax season, get movin’ and groovin’ into a brand new, energy efficient home. Tax refund season is approaching, and we know you are looking to take your refunds to the next level. Making the decision to buy a home can be quite daunting. Determining whether you are making the right investment in a home that will last for years to come is the main question for most home buyers. The great news is that your local home center is the perfect place to answer this critical question and find your perfect home investment! Staying connected with your local Clayton Homes home center to learn about manufactured home sales is easy! Home centers work day and night planning community events, promotions and huge sales for home buyers in your area. Clayton's New Sale: Hunt Down the Perfect Deal! Set your sights on savings this fall during the Clayton Homes House Hunting Sale! This season, you could bag a new trophy home for thousands less, so let the games begin. Whether you're looking for the perfect living room to watch the next big game or you just want a great built-in storage system, I've put together a list of my favorite Clayton entertainment centers for your new manufactured or modular home.